Mission Friends - KENTUCKY WOMANS MISSIONARY UNION, INC.
From babies to kindergartners, Mission Friends provides the building blocks of faith and a basic awareness of God's love for all people. 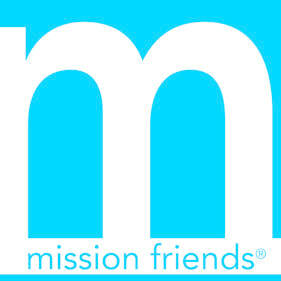 Contact Stacy Nall at Kentucky WMU for more information about missions for preschoolers or to learn more about starting Mission Friends in your church! Suggested missions project for little hands: Treats for Community Helpers. Leadership training and development for Mission Friends Leaders is provided at Excel every other summer. Find resources designed to help you engage preschoolers of all ages in hands-on missions discipleship activities. In each issue, you’ll find session plans and weekly activities in interest areas such as music, art, blocks, nature, and homeliving. One subscription provides take-home leaflets for ten preschoolers and their parents each month.